Electronics, particularly computer usage coupled with recent space age, endeavours has by this time already crept into every sphere of human activities. Every industry, institution & organization feels the need of an Electronics Engineer and a Computer specialist. Today’s world is very much for and of the Electronics & Communication Engineers. Advanced countries in the world have gone to such depths of Electronics today that an Electronics Engineer is indispensable in every front. Opportunity in this highly sophisticated and advanced branch of engineering is just immense. Electronics is now a part of our every day life, from your pocket FM radio to televisions, computers, mobile phones and even the high-end satellites that process and sends images. Today, technology is growing at a rapid pace. In the coming future there is bound to be huge demand for competent engineers in electronic industry to cope this demand in technology. These engineers would be involved in creating and sustaining cutting edge technology to stay ahead in competition. An electronic engineer can find job in Consumer electronics manufacturing organisation, Telecommunication industry, IT industries, Health care equipment manufacturing industry, Mobile communication, Internet technologies, Power Electronics, and Other industries like steel, petroleum and chemical industry, directing control and testing production process. Electrical technicians and technologists can specialize in technical sales, product representation, systems management, the design and manufacture of electronic devices and systems, or the installation, maintenance and repair of electronic systems and equipment. They may also work with computers and electronic equipment in the medical, manufacturing, industrial control, telecommunications, aeronautical and military fields. Electronics and communication engineering graduates can work for electrical utilities, communications companies, manufacturers, the military, government, or in the processing and transportation industries. They are also extensively involved in the manufacturing of electronic gadgets and devices. 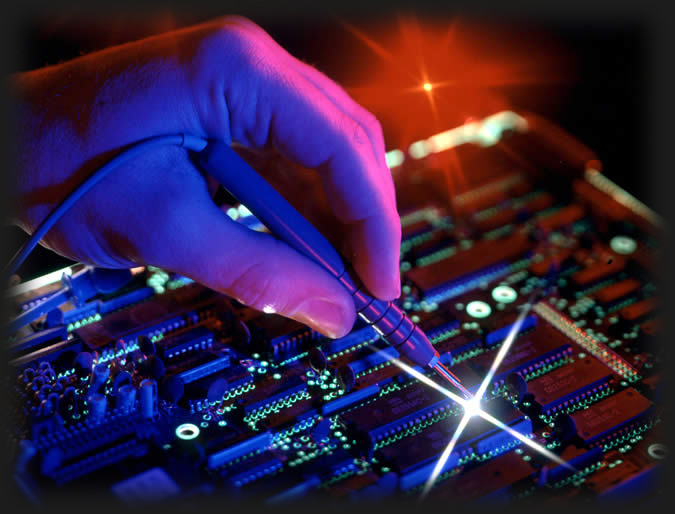 The work of an electronic engineer is varied and depends upon the industry they are working in. There are plenty of jobs for skilled electrical and electronics technicians with postsecondary qualifications. But the job is becoming more competitive and there are not so many jobs for people with lesser skills. Technology is improving productivity for many of these jobs and thus holding down job growth. An electronics engineer can get a job in Central Government, State Governments and their sponsored corporations in public enterprises and the private organizations like All India Radio, Indian Telephone Industries, MTNL, National Physical Laboratories, AIR, Civil Aviation Department; Post and Telegraph Department; Co-ordination Department, National Physical Laboratory, Bharat Electronics Limited, Development Centers in various States etc. dealing in manufacture, sales and services of electronics consumer goods and appliances. Electronics engineers are also absorbed into the entertainment transmission industry, research establishments, and defense. They can also take up teaching and research in one of the many engineering colleges in India or abroad. Placement and Pay scale of Electronics and Communication Engineers: Electronics and Communication Engineers usually get handsome salaries after some experience in related fields. Starters can get anywhere between Rs. 20,000/- to Rs.35,000/- per month depending upon their skill and the company they are employed in.